We have another wonderful guest today! I've known Barry for YEARS and I do know he is the funniest guy you will ever meet. Barry has become a very popular radio show host with his show "A Book and a Chat" on Blog Talk Radio which has well over 500 guests since he started in February 2009. He's also the author of the ebook, The Bathroom Book of Romance. 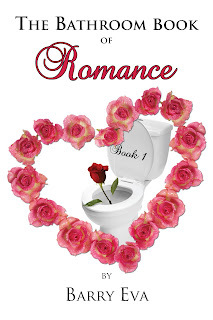 You can visit his website at http://romance2read.com/bathindx.html. Thanks for letting us interrogate interview you, Barry! Can you give us a go-for-the-gut answer as to why you wanted to be an author? I never wanted to be an author, I wanted to be a lumberjack leaping from tree to tree..hmm perhaps not just Monty Python influence, and perhaps shows that humor is part of my life. I did write poems, which became songs, which became short stories and merged into my YA novel “Across the Pond”. I would however never have become an author without the invention of the computer and more so “spell check”. This to me also explains the influx of doctors becoming authors as up until that time people could never have read their writing… ponders and what about the increase in lawyers becoming authors? But then I guess they are telling stories all the time. That brings me back to your original question… why I wanted to be an author… I really call myself more of a story teller than an author which explains why my radio show numbers keep increasing and my second YA book is stuck on chapter 46. Perks and demands of an author... hmm well you meet a lot of people including the bloggers who I call the sham-wow of literature as they just soak everything up. It is interesting how some people look at authors as mini film stars, yet we are all the same people. 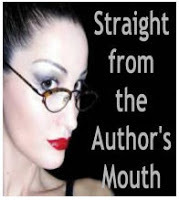 The shocked look of “you’re an author” perhaps with the increase of self publishing, but it still is a topic that can make people’s heads turn. As for demands, “if” you really want to be an author and not just use it as a hobby (cheaper than playing golf) then yes it take time and dedication. As the song goes, “and every star that ever was is parking cars and pumping gas”, so goes it with authors, for every star there are many who are left lost and bemused but at least have their book (or a few cases of their book) to show visiting friends. I have tried traditional however these days just what is that? I went publishing house and it was just a financial bucket that cost and I learned during it and since then just how much of a con it can be. This last E- Book and later this year paper book is went self publishing and latterly with a small press, people I knew from my writing group. As for time, I wrote it during my lunch hours at work, however these days you’re lucky if you get lunch 5 minutes, so it did not affect my family. Doing a radio show 3 times a week is more of an upheaval, each show prost and pre taking about 3hrs, and the actual shows themselves costing many “be quite” McDonald’s trips for my young children. Pets, plants, partners know there will be a break as fresh tea is required before the next chapter is written. Even then if I don’t surface, working in the basement the light can be turned off from the top of the stairs and I soon get the hint. Mind you the “dinners ready” call can also break up my writing time. Knowledge gained from fellow a friend and fellow CT author MJ Allaire and her husband. 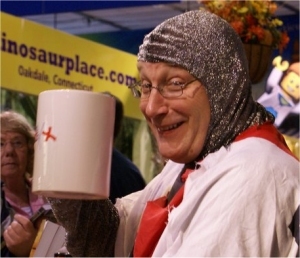 We do a lot of book signing events together with her wonderful dragon series and myself dressed up as St George to keep those fire breathing animals under control. Life, work, family must always come first. These days the most important part of selling is social network, blogs are a must, twitter perhaps not so, but internet presence and groups such as Facebook and Goodreads again a must for authors. If one person reads and enjoys my work, I get one review…good or bad… or an email from a reader then to me it is all worthwhile. I assume we are talking being an author, not the price of gas, politicians etc… The way people are used by some publishers etc and pay for stuff that is basically free. I love being able to share my views, thoughts and feelings with others, the actual writing is still an issue, which again might explain the more verbal events of “A Book and a Chat” to finishing my follow up YA book. Either way it’s still being able to share and perhaps bring a smile or a small tear to the person who shares your creativity. The fact I’d been able to move the reader to tears made it worthwhile also since that time I put a small box of tissues next to the title of the real weepies in my book. Thanks for being my guest today, Barry! Great interview, Dot and Barry. Barry is such a card. I've met him in person. I'm one of those still eagerly anticipating his next YA book. Hope you find some time to work on it, Barry. Hope it brought a few smiles. Barry, it's wonderful you've kept up your blog talk radio show! Also, that you find time to write, even with a full time job. I'm wondering how come I can't find enough time and I'm so-called retired!